← Falling forward and other flight patterns! I’m tired of snow. There, I’ve written it. Mother Nature can sue me for all I care. I’m tired of the white, fluffy stuff falling on my river, on my birds, on my house! I’m not going to shovel, salt, scrape, melt, or rake. I’m not going to make snow angels, I’m not going to make snowballs, and I’m definately not going to snowblow! Enough!!!!! It was thrilling over the last few days. The mild weather brought the opening of the river. I could see water! 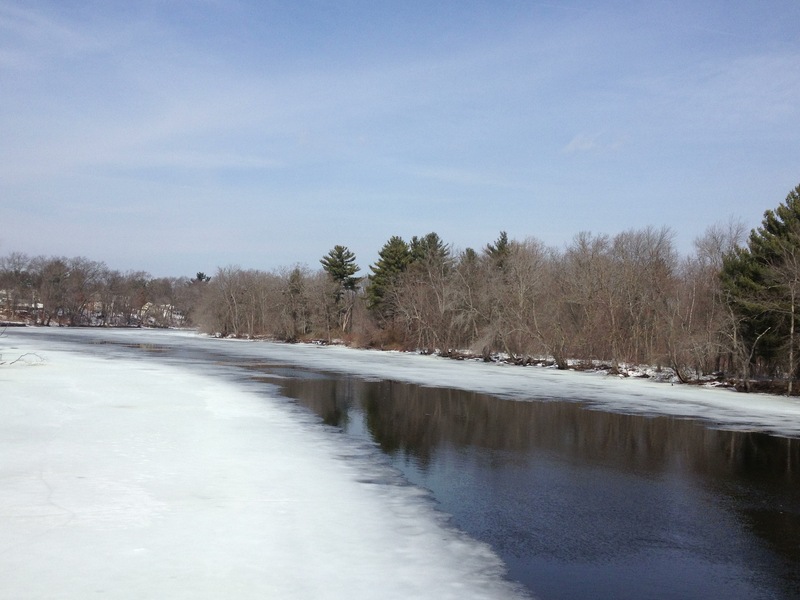 Goodbye ice, hello Concord River. View from the River Street bridge. With the appearance of the water, the ducks arrived in droves. They seemed to quack “Water! ALL RIGHT!! !” No more flybys, just gracful landings. 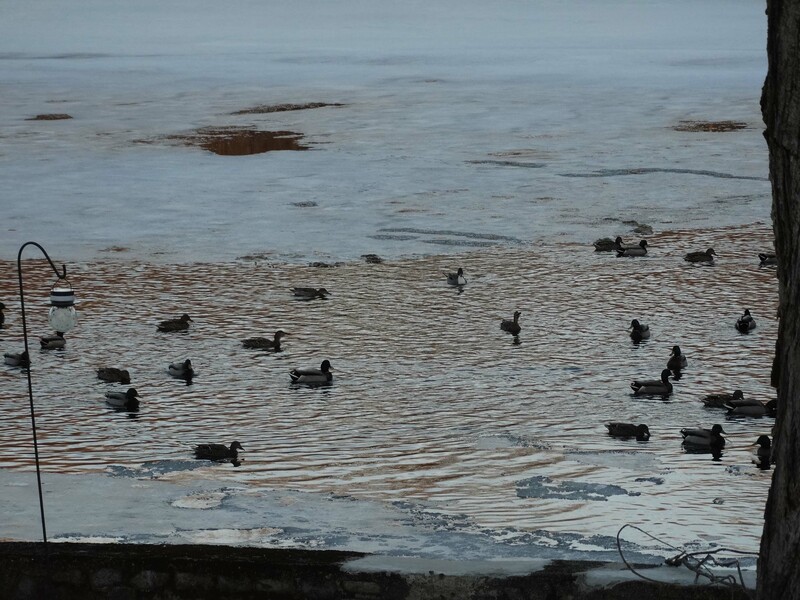 The ducks arrived with the melting of the ice. Okay, I know I’m not the only person dealing with more snow. But, as my ex always pointed out, “You think it’s all about you.” Yes, I do and yes, it is. I want to put my UGGs in storage and pull-out my Wellies (not the thigh-high ones, please). I want to rake my gardens, not my roof. I want to complain about hot weather not heating oil prices. While I’m on a rant, let me be emphatically clear. I don’t want water in my basement (are you listening Mother Nature?). 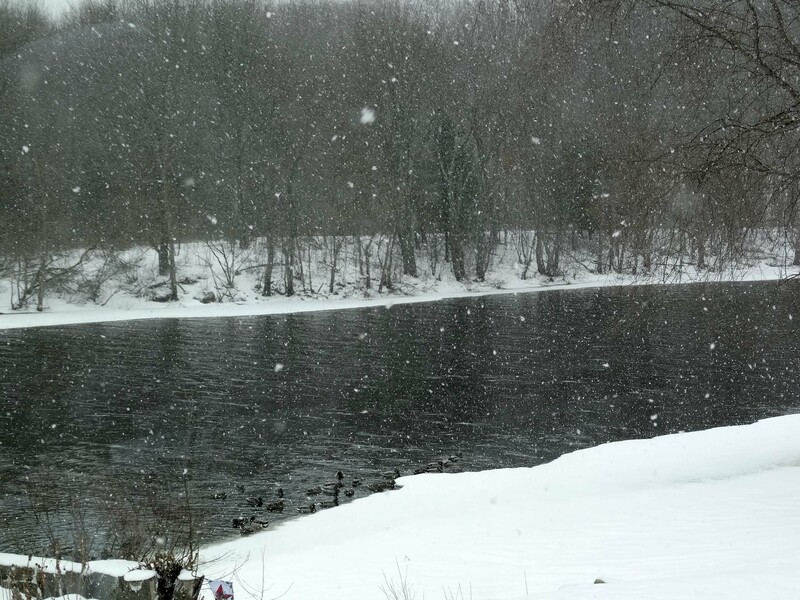 Snowing, again, on the Concord River. So, please Mother Nature, stop snowing on the Concord River. 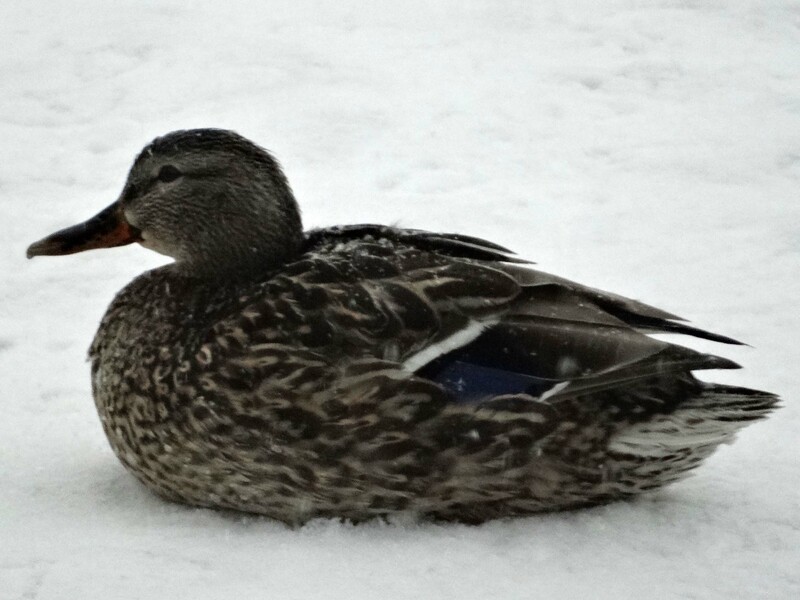 Gallery | This entry was posted in Life on the Concord River and tagged complaining about life, concord river, Concord River Lady, ducks in cold weather, ducks on a river, life on a river, life on the concord river, living on a river, living on the Concord River, Mallards, March snowfall, March snowstorm, more snow in March, owning a house on a river, owning a house on the Concord River, ranting about life, ranting about snow, riverlady, UGGs, Wellies, wildlife on a river. Bookmark the permalink. I totally agree !!!! I am so DONE the snow…the cold….yuck!!! Hi, yes, winter appears unable, or unwilling, to let go. The wind today is biting and the ducks seem very unhappy with the choppy water on the river. I am going to put my winter boots away today, however. I am officially done with snow, sleet and slush. Cheers. In total agreement! I’m tired of cold, snow and ice! I’m tired of bribing my neighbors to plow my driveway, tired of it all. Bring on the spring! Here she comes! May she be peaceful and gentle for our weary souls.